Court, DSS disagree over Ngwuta’s money – Royal Times of Nigeria. The money in question is said to have been recovered from the residence of Ngwuta by the DSS during a search on the residence on Oct. 7, 2016. 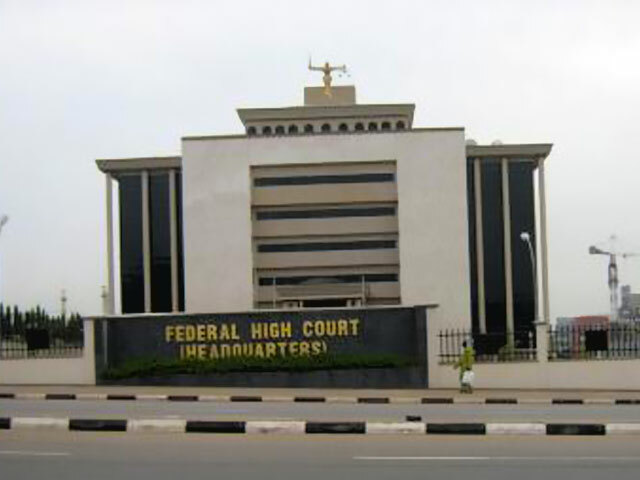 At the resumed hearing on Friday, Justice John Tsoho, said that he was informed that the Naira denomination in the court’s custody was different from the amount the witness gave on Thursday while giving evidence. “I am just receiving the information that there was a problem with the exhibit because the amount announced by the prosecution in respect to exhibit 11h should have been N35,358,000, but when counted, it was N35,335, 840. The News Agency of Nigeria (NAN) reports that the money is N22,160 less the amount the witness gave. However, during cross-examination by the defence counsel, Mr Kanu Agabi (SAN), the witness, Mr John Utazi, an operative of the DSS, insisted that the amount was N35, 358,000. “I am not aware of any discrepancy between the money I recovered and the money tendered in court. Utazi also told the court that his team left some insignificant amount of monies at Ngwuta’s residence after searching the place because they got tired of counting the money they found. When Agabi sought to know who the money they recovered belonged to, the witness said that ownership of the money was for the court to determine. Utazi also told the court that he did not know the origin of the money contained in the charge against Ngwuta. The prosecuting counsel, Mrs Olufemi Fatunde, prayed the court for an adjournment since there was no need to re-examine the witness. She said the next witness the prosecution intended to call was absent in court because he was bereaved. Moreover, Fatunde said that an adjournment was necessary to enable the appropriate officers move the money to the Central Bank of Nigeria (CBN) as was ordered by the court. The judge adjourned the matter until July 3 for continuation of trial. NAN recalls that the court had on Thursday admitted in evidence nine bags containing money said to be recovered from Ngwuta’s residence by the DSS. The fifth prosecution witness who was being led in evidence, told the court that he led a team of DSS operatives to conduct a search on Ngwuta’s residence in 2016. He said they recovered various sums of money in both local and foreign currency, including N35, 385 million, £35, 915, 319,096 dollars, 50 South Africa rands, €280, 000, 380 Dirhams and 420 Dalases. The court had ordered that the money recovered be deposited with the CBN. Ngwuta is facing a 12-count charge bordering on money laundering, retention and concealment of various sums of money in local and foreign currencies. He is also charged with giving various sums of money above the statutory threshold to his building contractor for the building of various houses without going through a financial institution.